Oklahoma City University will host a reading and book signing for author and alumnus Brandon Hobson at 7 p.m. March 20 in the University Center Great Hall. 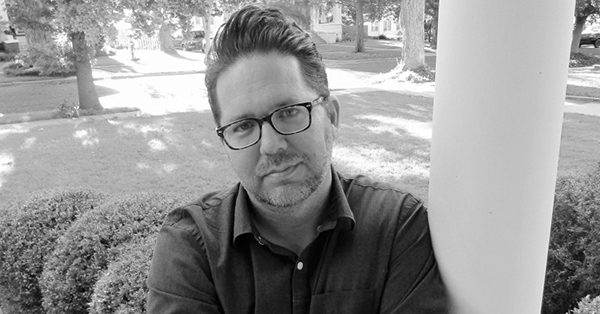 Hobson was a finalist for the 2018 National Book Award for his novel “Where the Dead Sit Talking.” The book, set in rural Oklahoma during the late 1980s, follows two Native American teens’ experiences in the foster care system as they try to navigate relationships and their own emotional scars. The book reached number one on Oklahoma’s Bestseller List, and it made the best book lists for 2018 from NPR’s “Code Switch,” Kirkus Reviews, and Southern Living magazine. A member of the Cherokee Nation, Hobson received his Bachelor of Arts in English at OCU in 1992, and went on to earn a master’s degree at the University of Central Oklahoma and a doctorate at Oklahoma State University in Stillwater. He currently teaches English at Northern Oklahoma College in Tonkawa. He has published many short stories in such respected literary journals as The Paris Review and Believer, has won a Pushcart Prize, and is the author of three previous novels — “Desolation of Avenues Untold” (2015), “Deep Ellum” (2014) and “The Levitationist” (2006). For more information about the event, visit okcu.edu/film-lit.